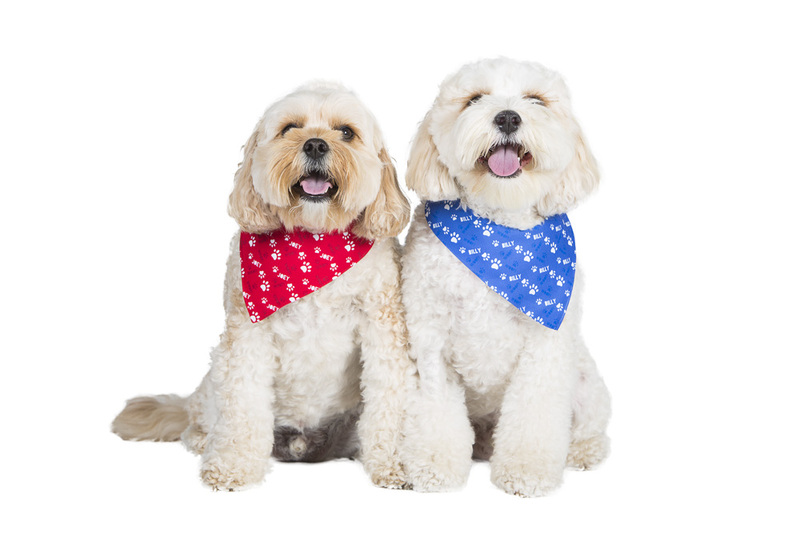 Our Neckerchiefs are printed with love and care and completely handmade here in Australia. 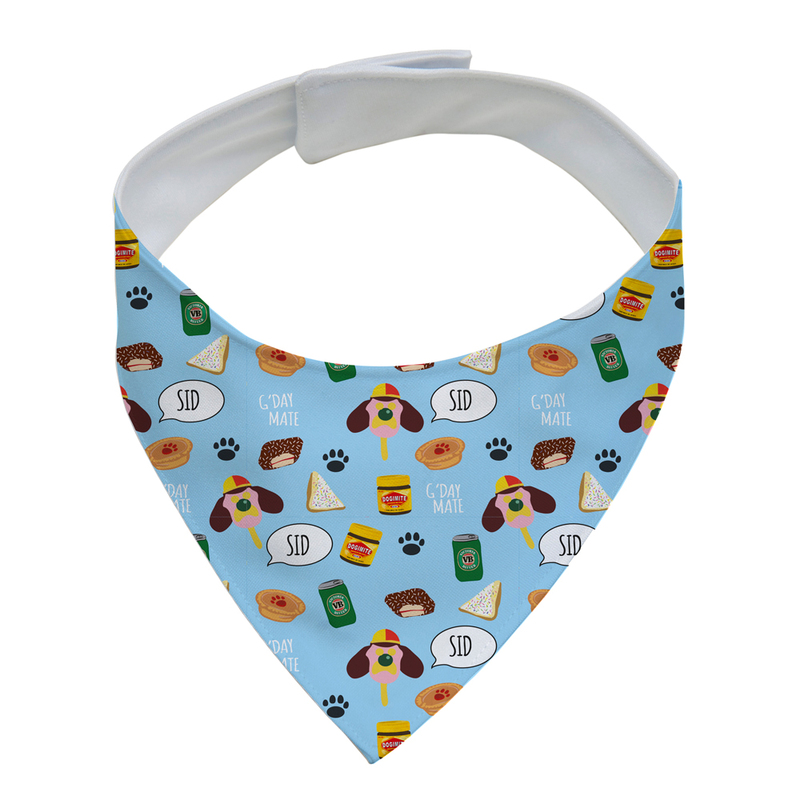 They come with a full custom print on one side and are velcro fastened to allow for neck tolerance and adjustment of up to 3cm. Made from double stitched, soft-to-touch and quick-to-dry lightweight Polyester. Our personalised neckerchiefs make the perfect accessory for dressing up your pooch or kitty on special occasions to look their best. 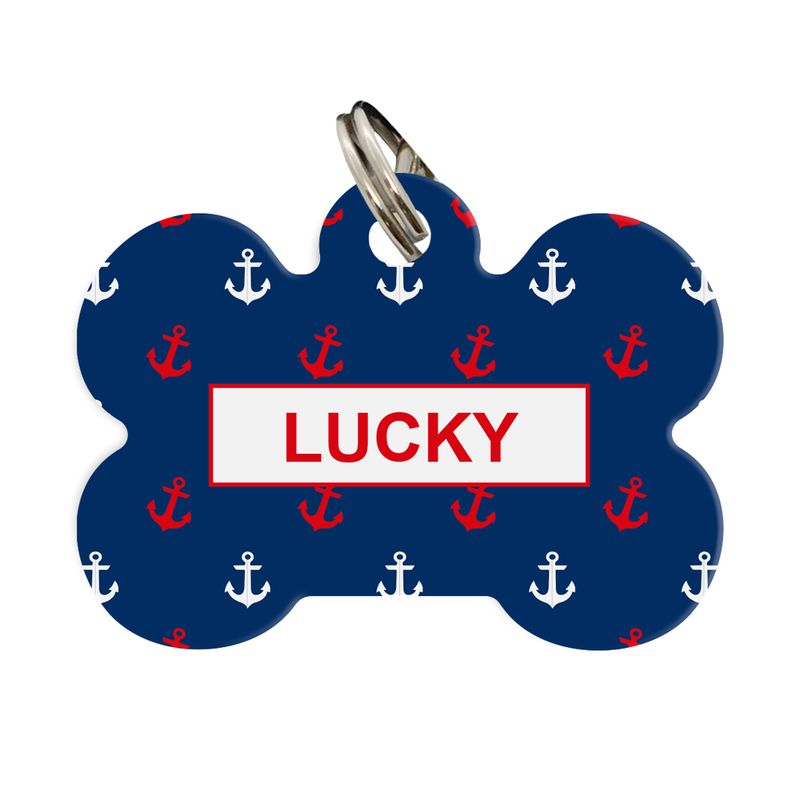 From small dog breeds to large we have you covered. For our feline friends we recommend our small bandanas. Can't find yours size? 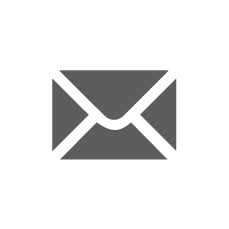 Never mind, drop us an email at [email protected] and we will endeavour to help with your special request. Extend your XXL size neckerchief to fit any dog's neck size. Easy velcro attachment. 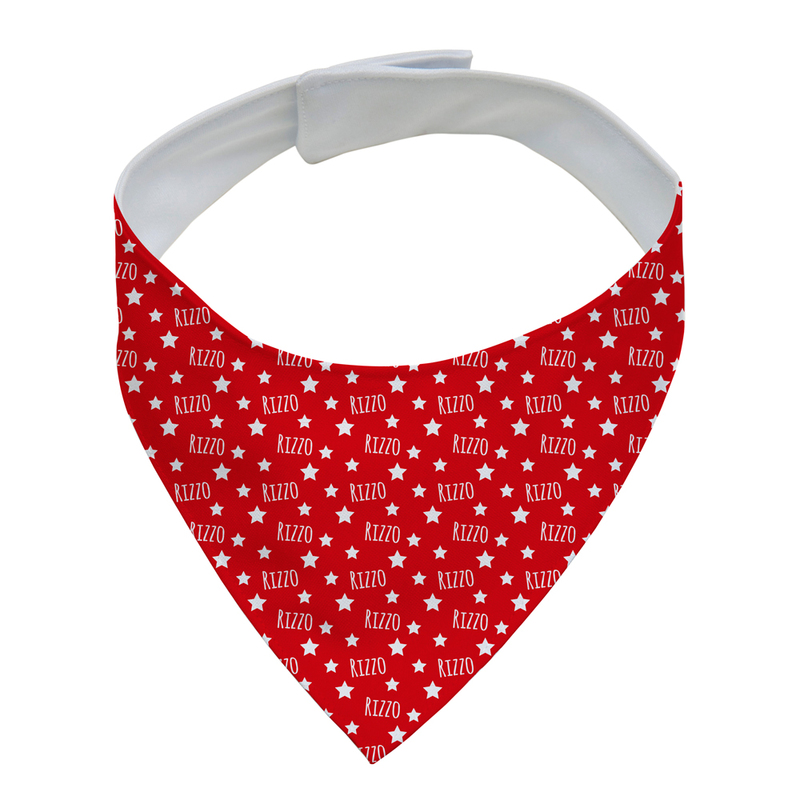 Printed to match neckerchief design. 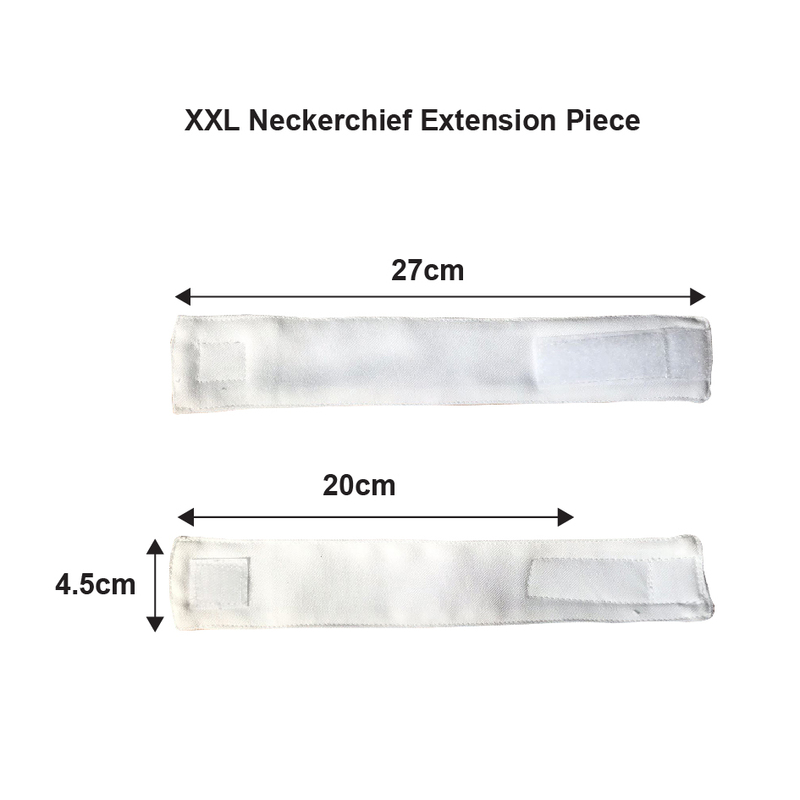 Extends neck size from 50cm to a maximum of 77cm. 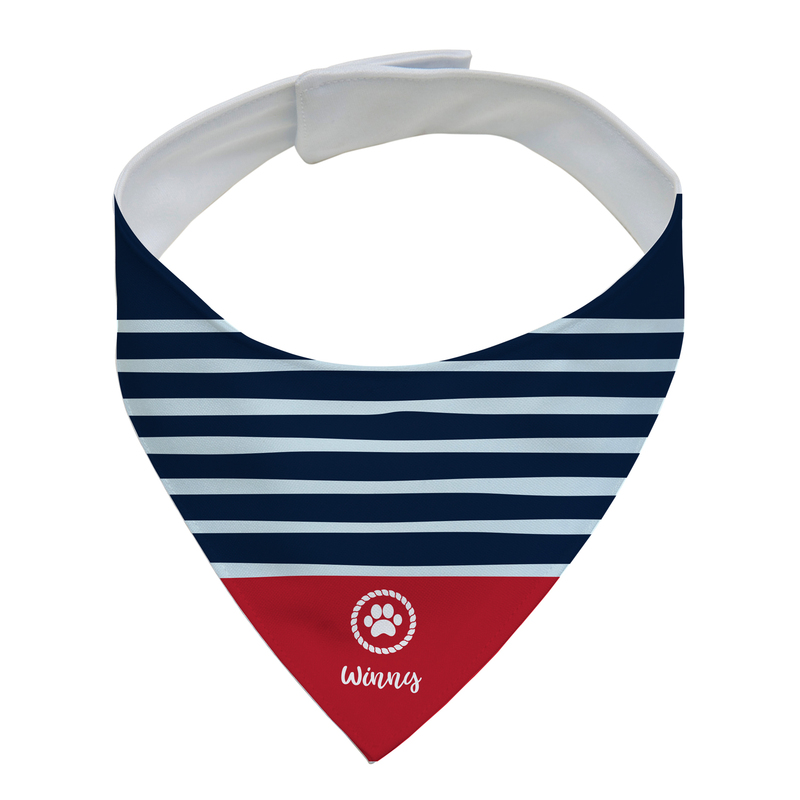 Each neckerchief is custom made to the specifications you provide and we can not refund items that do not fit your pet due to incorrect size choice. 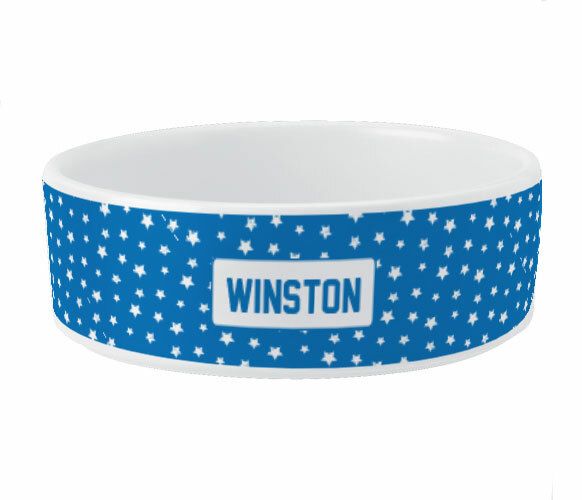 Ask us about bulk order pricing for corporate or charity sponsorship. 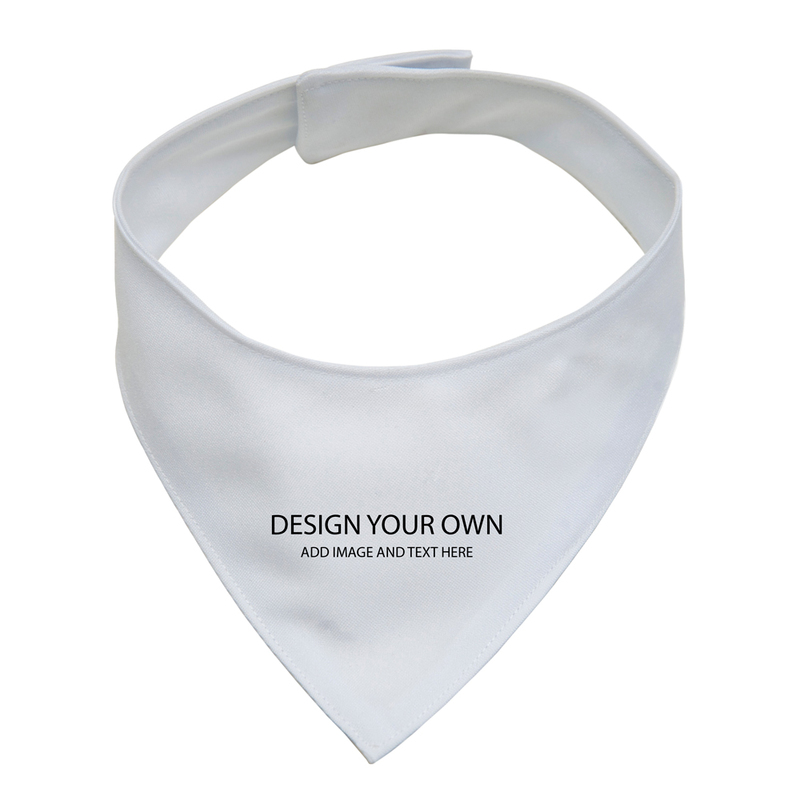 We can print your logo or design to suit promotions or events. Please allow up to 10 working days for dispatch.